New Street Communications, LLC, 9780692851135, 312pp. The solemnity of Seeger's work] is thoroughgoing, not a mere literary formality. Alan Seeger, as one who knew him can attest, lived his whole life on this plane, with impeccable poetic dignity; everything about him was in keeping. 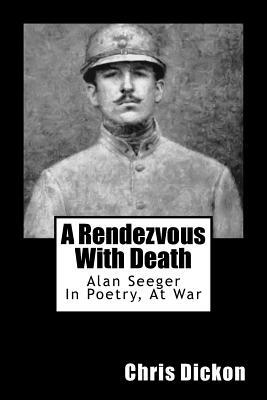 In this first modern biography of famed "Great War" poet Alan Seeger, Chris Dickon uses previously untapped papers and archives to reveal Seeger as a complex, enigmatic, and fatalistic genius confronting with robust, romantic intensity both his art and the war in which he found himself. From Seeger's affluent childhood in New York and Mexico, to his college days at Harvard with friend John Reed, to Bohemian Greenwich Village and finally the Left Bank of Paris, and his last year in the trenches of Northern France ... Dickon's masterful book tells the tale of Seeger's short life with great depth, clarity, and sympathy. Perhaps most importantly, Dickon shows the expatriate American Seeger as an avid soldier for France long before the time when the United States finally entered the war. In doing so, Dickon not only delivers an eloquent narrative of Seeger's works and days, but also expertly places him in the context of both his time and ours. CHRIS DICKON is a writer and veteran PBS television and radio producer. His previous books include THE FOREIGN BURIAL OF AMERICAN WAR DEAD, THE ENDURING JOURNEY OF THE USS CHESAPEAKE, and AMERICANS AT WAR IN FOREIGN FORCES.